Part of a social practice artwork that was invited to Woman Made Gallery in Chicago, Illinois in Sept. 2015 and Woodstock, Illinois Women's Works Art Show in Feb. 2013. 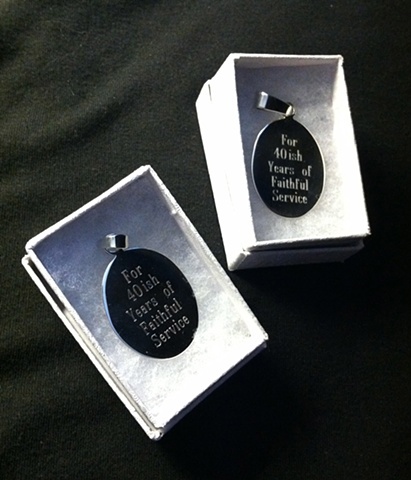 A retirement party for my ovaries was held at the Fox Theater in Spokane, WA at which these charms were awarded. The goal of this piece is to begin a frank discussion about women's reproduction and how it is taboo to even mention ovaries in our society. This piece continues to change with each participant's addition to the interactive books.